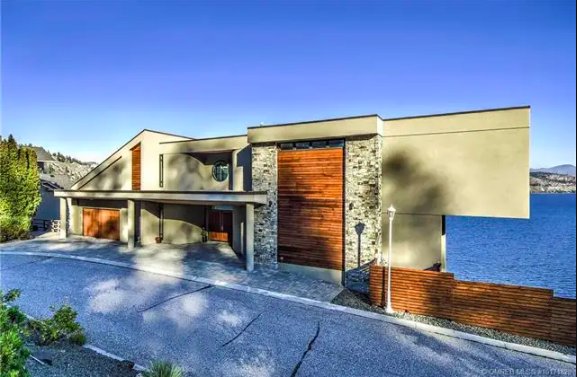 First off sorry for the low quality pictures, for some reason high quality shots are not available of this high quality home, and that’s just out of my hands. 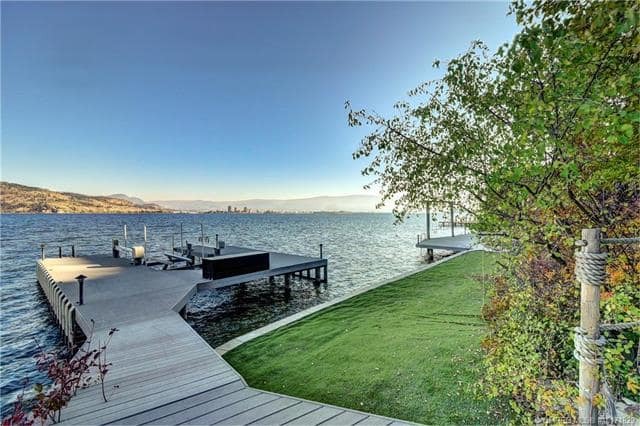 I however could not ignore this West Kelowna property as it certainly stands out a bit..out from the cliff that is. 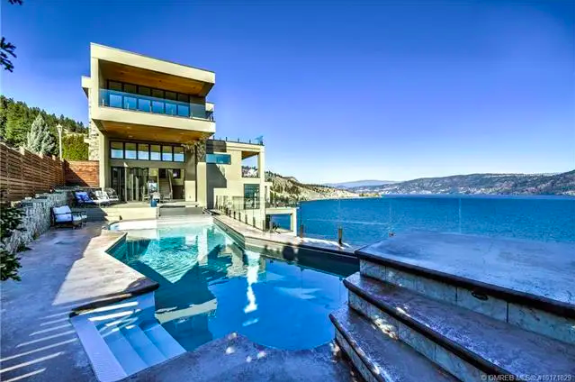 This home is located right on Lake Okanagan in the Sailview Bay community, only a 10 minute drive to downtown Kelowna. 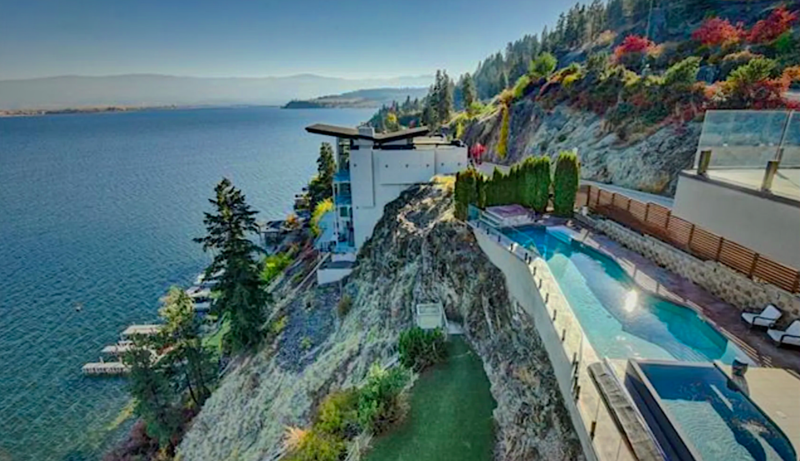 You can walk down to your own private dock and beach area, or stay up in the cliffs and lounge in the pool that’s embedded into the rock face. 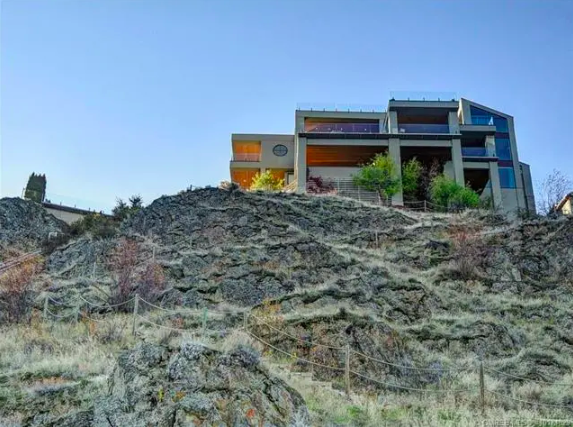 The home itself is just over 6,600 square feet with four bedrooms and four bath throughout. 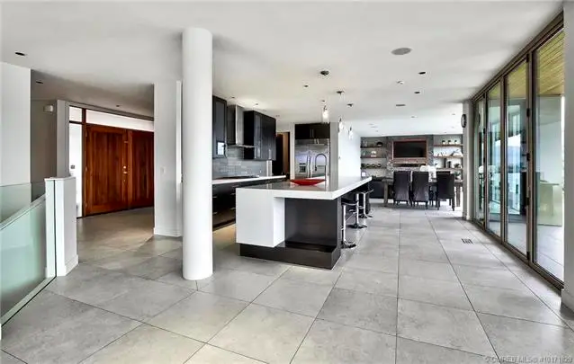 901 S Westside Rd 15 was substantially renovated and redesigned in 2013 making it a contemporary masterpiece. 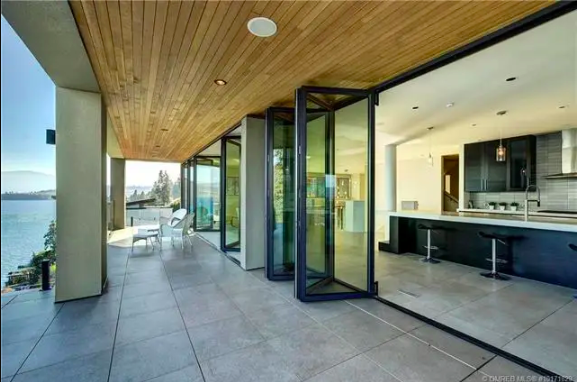 The inclusion of Nano Doors makes the indoor and outdoor living spaces seamless. 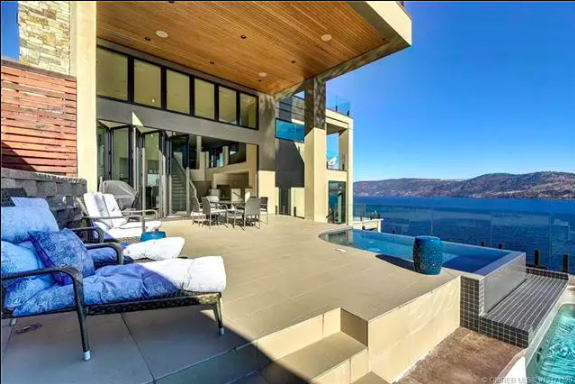 This Kelowna lakefront dream home in a cliff could be all yours for a cool $5,195,000 CAD, perfect timing for the upcoming summer season. 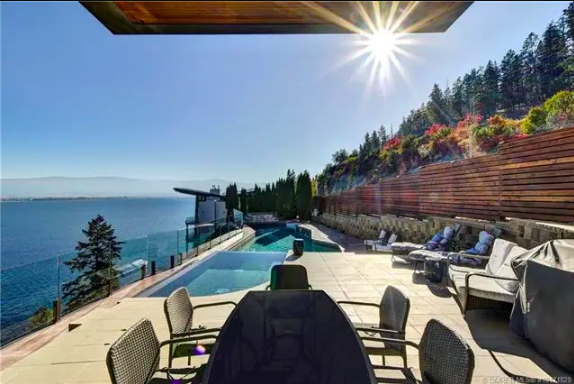 It’s listed with the Klassen Bouck Real Estate Team and they can be reached at 250.317.4558 to learn more about this gem.